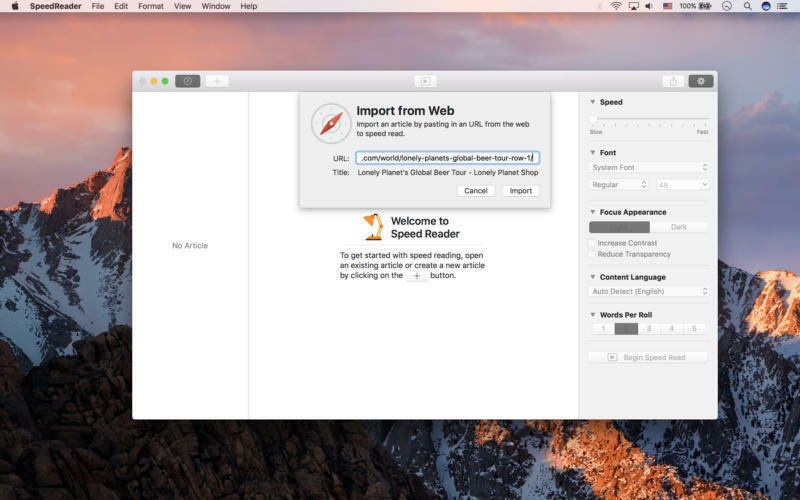 Is there a better alternative to Speed Reader? 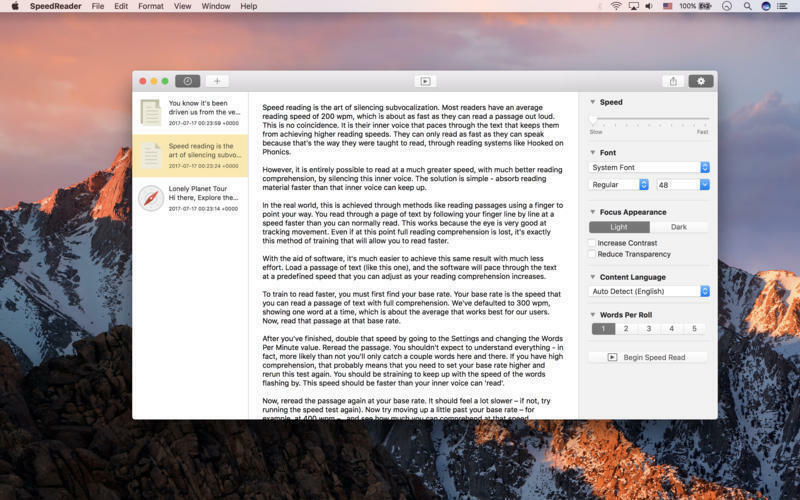 Is Speed Reader really the best app in Literature category? Will Speed Reader work good on macOS 10.13.4? Speed Reader allows you to paste in an article you would like to read, adjust the speed reading rate and choose your favorite font, then Speed Read it with the power of silencing vocalization! Speed Reader needs a review. Be the first to review this app and get the discussion started! Speed Reader needs a rating. Be the first to rate this app and get the discussion started!